Most high, omnipotent, good Lord, grant your people grace to renounce gladly the vanities of this world; that, following the way of blessed Francis, we may for love of you delight in your whole creation with perfectness of joy; through Jesus Christ our Lord, who lives and reigns with you and the Holy Spirit, one God, for ever and ever. Amen. 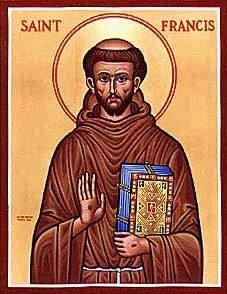 St. Francis of Assisi was an Italian Catholic friar and preacher. He founded the men’s Order of Friars Minor, the women’s Order of St. Clare, and the Third Order of Saint Francis for men and women not able to live the lives of itinerant preachers. Though he was never ordained to the Catholic priesthood, Francis is one of the most venerated religious figures in history. On July 16, 1228, he was pronounced a saint by Pope Gregory IX. He is known as the patron saint of animals, the environment, and is one of the two patron saints of Italy (with Catherine of Siena). It is customary for Catholic and Anglican churches to hold ceremonies blessing animals on his feast day of October 4. He is also known for his love of the Eucharist,his sorrow during the Stations of the Cross, and for the creation of the Christmas creche or Nativity Scene. Upon my priestly travels, the religious order that I interact with the most are the Franciscans (used to be the Jesuits). The first Roman Catholic Priest who invited me not only to process with him, but to have a seat in the altar/sanctuary is a Franciscan. My first priestly confession was with a Franciscan priest. I have a fond admiration for the Franciscans. It is as strong as my admiration for the Jesuits, but its different. The Roman Catholic Archbishop of Boston is Cardinal Sean O’Malley, a Franciscan – Capuchin. St. Francis was also a strong advocate for helping his fellow brother and sister when it came to developing religious orders. He was very instrumental in the establishing the “Poor Claire’s” with Claire of Assisi as well as helping St Dominic with the establishment of the Orders of Preachers (Dominicans). This sort of Christian collegiality by St. Francis is often overlooked. If we pay attention to it, we can see clearly this value being embodied in our current Pope. 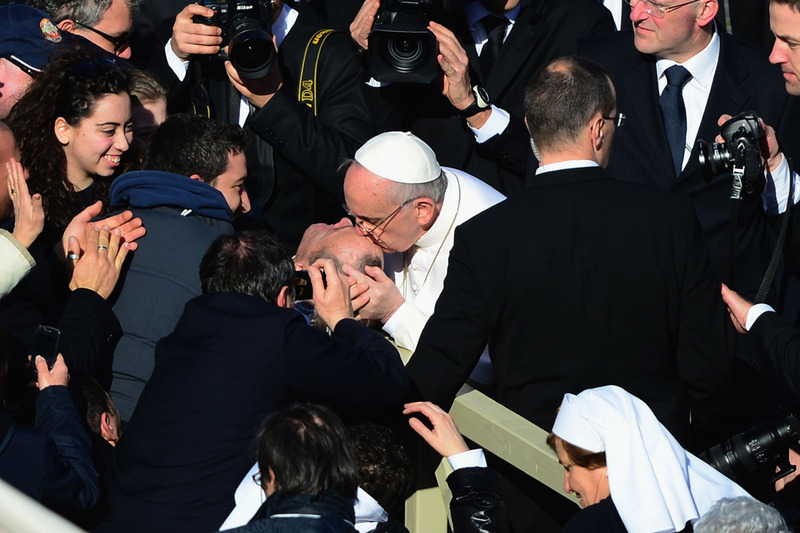 Pope Francis I, a Jesuit, does embody many of the qualities of St. Francis. His love of the “least of these” is evident not only in this picture, but in many scenes we have seen since his conclave. The washing of the feet of incarcerated women, praying over babies in large crowds, and blessing those with physical and mental disabilities are just a snapshot of his view of the call to the ministry and the ideals of St. Francis. Like his name sake, he is not quick to judge, but will adhere to sound Christian doctrine and Christian collegiality. It is noted that he and Anglican Bishop Gregory Venables are close friends. He has met with Archbishop of Canterbury Justin Welby and with Argentinian President Cristina Fernandez de Kirchner (the two have not had the best relationship in the past). At the end of the day, the most important part of the St. Francis’ legacy his love and care for all of God’s creation. Its that love that drove his preaching, teaching and sacrifice of himself for the work of the Lord.